Yesterday we had some charity events to help supplement the golf outing. We had a "Pay for Jeans" Day and a Fay’s BBQ (they don’t have a website!!). For the BBQ, we had to help with the meat, the assembly of the meals, etc. here I am playing with meat! This is ironic since I don’t really like meat at all. I’ll occasionally eat some chicken, but that’s not an all the time thing. Here I am on the assembly line serving…meat. Really. I guess they figure I would not be inclined to lick it or eat it while standing around. And believe me, I would not do either of those things. I was complimented on my new tank numerous times yesterday. I had so many coworkers say they love it and want one for themselves. Of course, I dogged that whole "oh, I’ll make one for you" thing…I tend to smile coyly and shrug. It works like a charm! 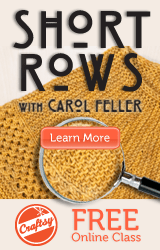 I usually tell people I’ll show them how to knit so they can make their own – that usually ends the convo.